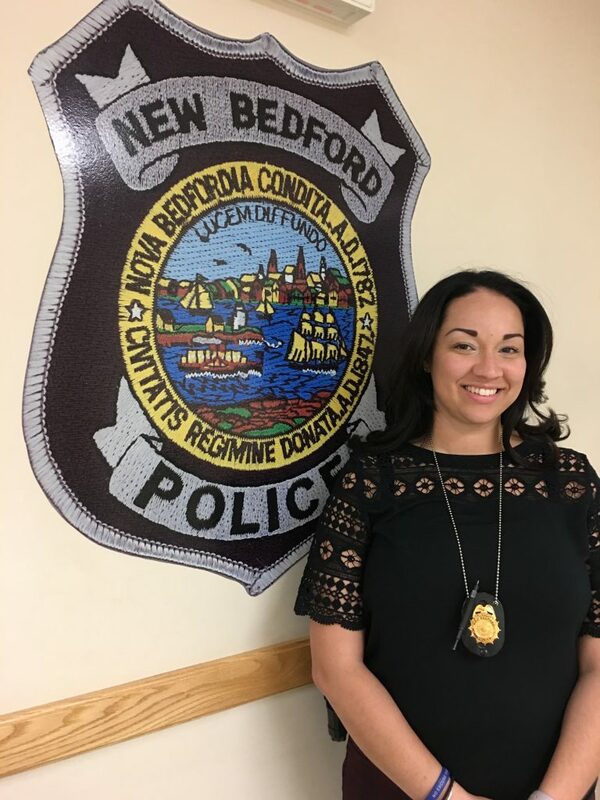 The New Bedford Police Department welcomes Det. Dominique Sherburne as the newest member of the family services unit. In her new position, Det. Sherburne will investigate cases of child abuse, adult sexual assault, elder abuse, disabled persons abuse and domestic violence. She is also assigned as a detective for the unit’s cases of commercial sexual exploitation of children. Solving these cases and bringing justice to victims is very rewarding, Det. Sherburne said. Det. Sherburne is a native of Brockton and now a resident of New Bedford. She proudly served in the US Army from 2005 to 2015, including nearly a year in Iraq. She was hired by the New Bedford Police Department in 2011. After graduating from the police academy, she worked as a patrol officer on all three shifts before becoming an investigator in the backgrounds division in January 2016. She began working in the family services unit Feb. 19. She received her bachelor’s degree in criminal justice from Fisher College in 2016 and plans to study for her master’s degree in the near future. She also appreciates the chance to work with a team of talented, dedicated professionals who she credits with serving as mentors, providing invaluable guidance. Det. Sgt. Pamela Melo, who supervises the family services unit, described Det. Sherburne as a welcome addition to the Family Services Unit who complements the current team well. Chief Joseph Cordeiro also praised Det. Sherburne’s skills and work ethic.